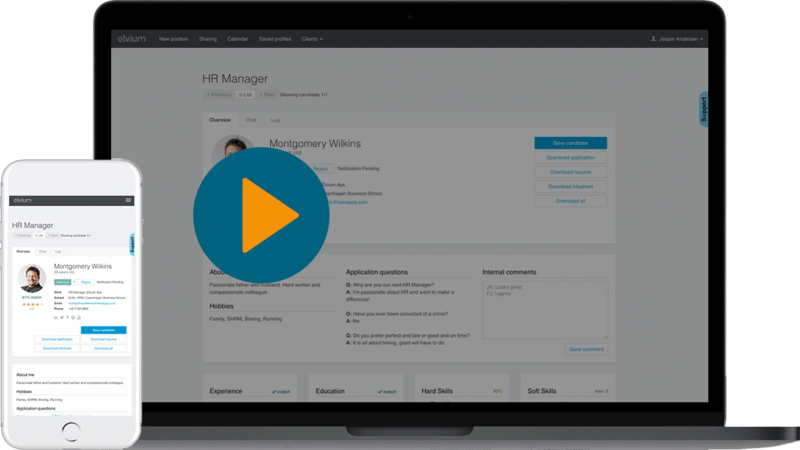 Cloud based recruitment software that supports effective hiring and on-boarding. Helping you on-board new talent fast. 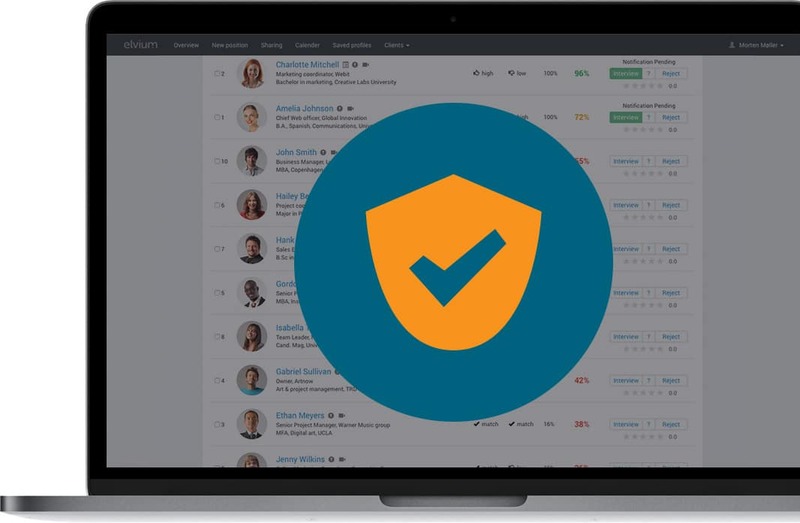 Elvium raises the bar for best practices, helping you recruit the best candidates more efficiently. We have tested our design with customers and remain committed to a lean but functional recruitment system. And, that is why Elvium is the easiest system on the market. 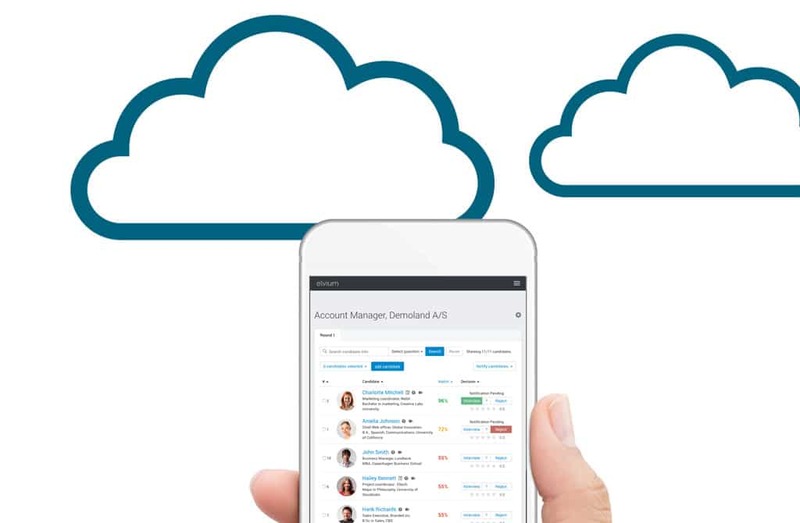 Elvium screens the applicants automatically, which let you reduce the time spend recruiting and focus on your business. 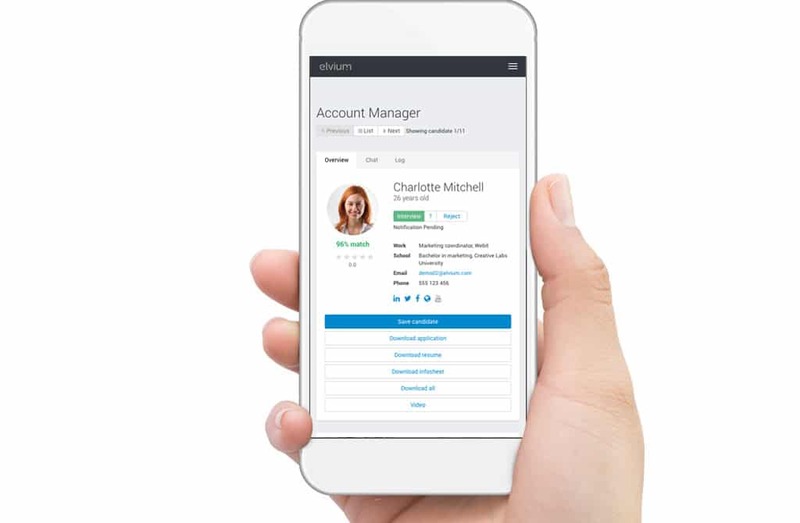 Elvium lets candidates know how they did, ensuring professional handling and the good reputation of your business. Elvium is an encrypted environment, such that sensitive information is secure and you can focus on the more important things – finding the right candidate. Elvium is agnostic and works with both Windows and Mac, and it can be configured in less than one hour. 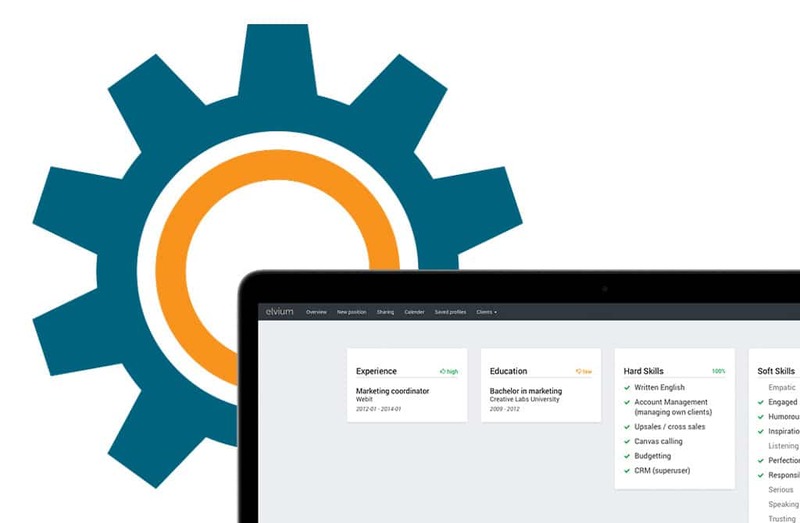 The Elvium partnership module lets you recruit across business departments. 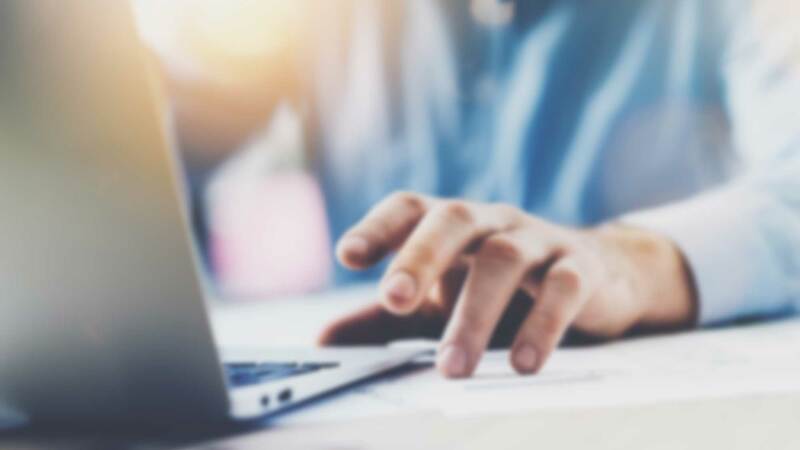 HR will have an overview, but the individual departments can specify their needs and help you find the right candidate. 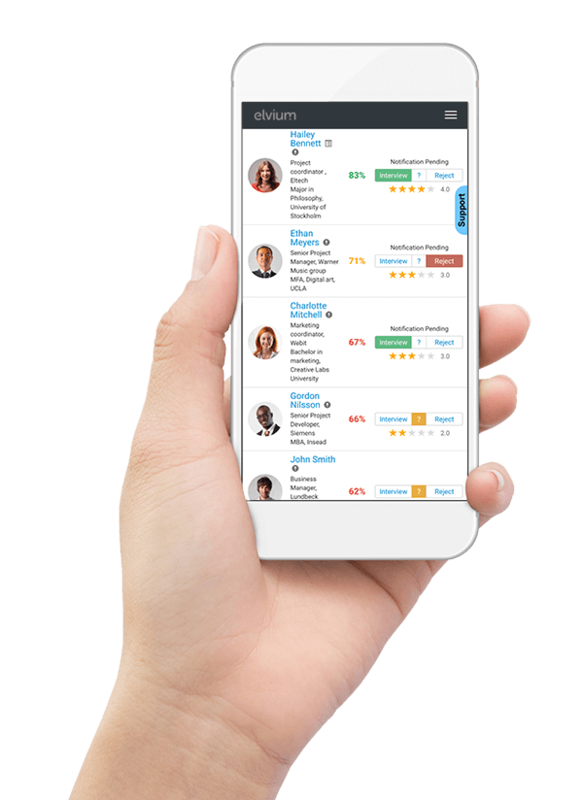 Elvium is designed such that you can work faster and focus on the important candidates, those with high ratings after the automated screening. 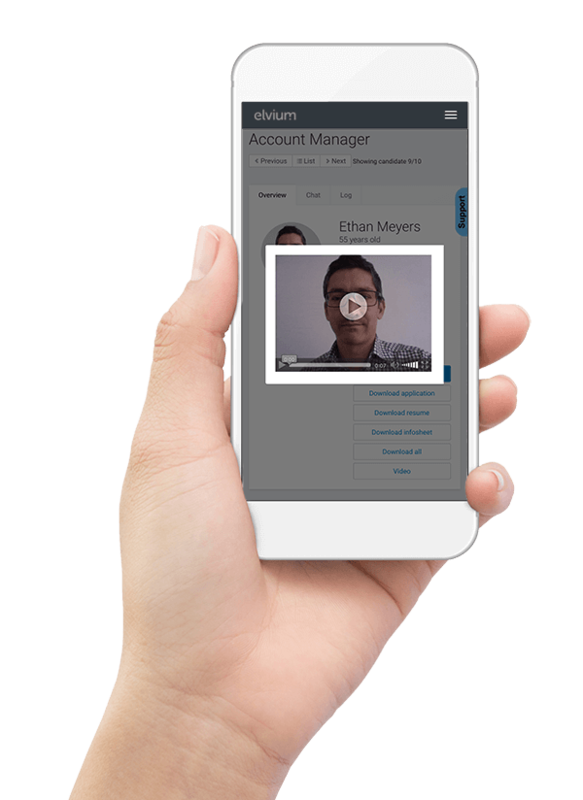 Elvium enables video applications. This is important, if you are recruiting for a position where posture, voice, attitude or speaker skills are part of the job description. Elvium is a one-size fits all. It does not matter whether you, or your applicants, are using pc, mobile or tablet. Elvium is ready to go! 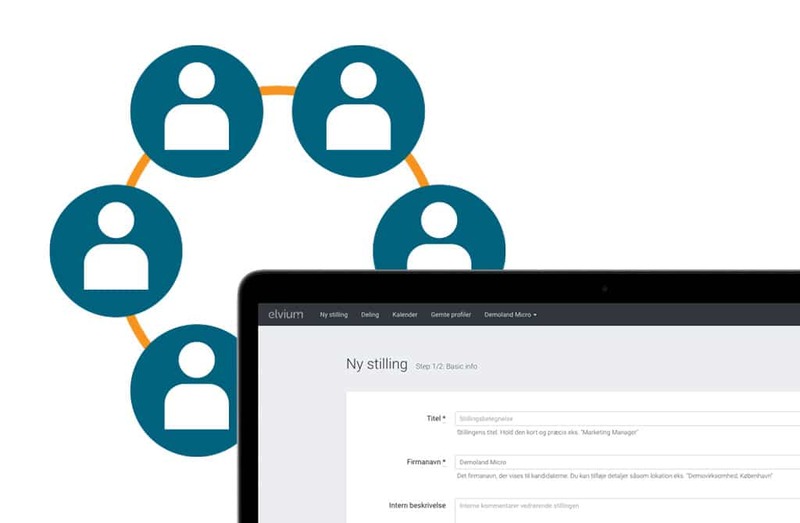 Elvium uses the internationally recognized talent screening method, TMA. Screening for 53 personality traits, we know that successful recruiting is more than hard skills. Why do people love Elvium? HR- & CHIEF COMMUNICATION OFFICER, XL-BYG A.M.B.A.